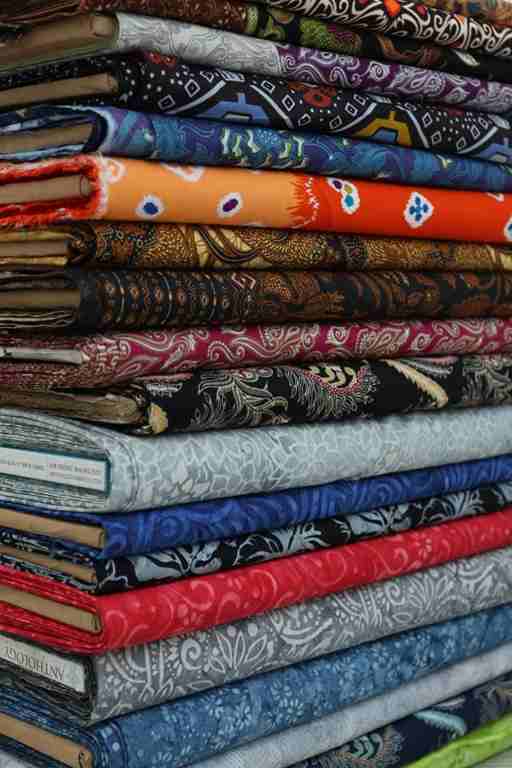 Batik fabrics for quilting Is one of art in designing batik. Art of making this batik cloth by combining some batik motifs with the color and pattern of each, then make it a sheet of new batik cloth. From the merger that will be born a unique creations that will make you fall in love. Not only that, the existence of various motifs, colors and also will make batik quilt like a work of art that has a high value. The uniqueness of this batik is you can choose your own motifs and colors of batik that you will use. This is because, this type of batik cloth sold separately from every style or motive. Then you can combine it by sewing it into one unity to your liking. Here you are required to create your own in creating a batik model that suits your taste. From pattern, motif, color, all you have to choose by yourself. Batik model like this is very popular in a number of countries in the world one of them in London. These quilt batik pieces are now widely found in a number of batik shops. You can also order it according to the motives you want. Sales of this batik model is a roll. Each roll has a different motif. So, you will not only buy one or two batik quilts, but more. This is so, the motive that can be created from quilt batik can be more diverse. 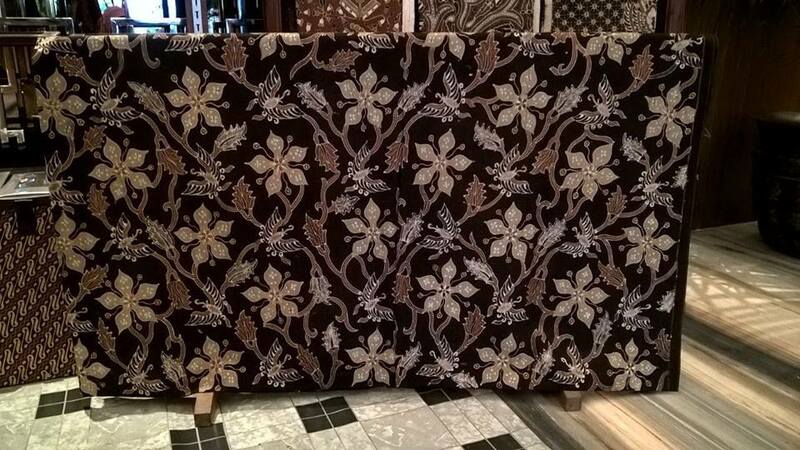 In addition, with the many motives you use, it will definitely add beauty and beauty to the batik cloth itself. Batik model that is in this has a fairly expensive price. This is because, this cloth is not made for granted, but must be through the incorporation of some batik motifs. Furthermore, the motives are cut with the same size and sewn. Accuracy and patience in combining this will determine a result of batik quilt itself. The better the style chosen, the result will be more beautiful. 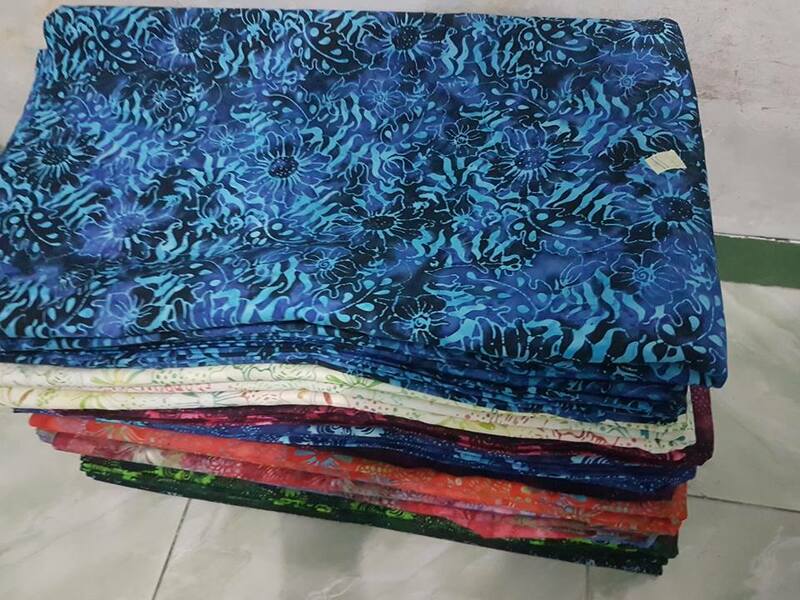 Batik cotton fabric is batik made of cotton cloth or 100 percent of cotton. 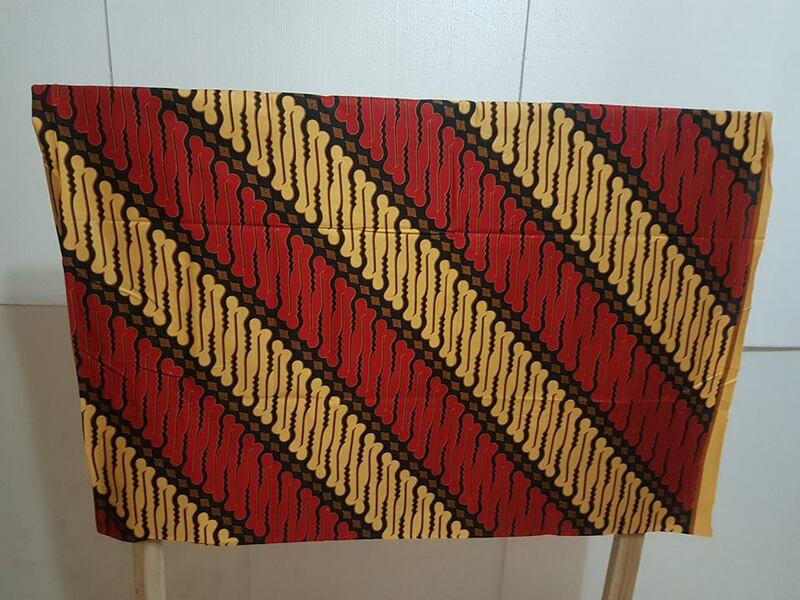 This type of material is usually used for good quality t-shirts. Because of its gentle and absorbing sweat, so that makes the wearer to be comfortable despite having a fairly solid activity. But now it’s a lot of batik clothing that uses this type of fabric as the base material. Similar to T-shirts, the purpose of using this type of material is none other than to provide comfort for those who wear it. So for those of you who want to buy batik clothes, batik clothes with cotton material can be the right choice. Guaranteed you will not swelter when wearing it, because this type of fabric is easy to absorb sweat. Even though the weather conditions are hot or you are out of the office or in the field. Usually batik with this type of cotton cloth is more expensive than batik with the usual type of materials. 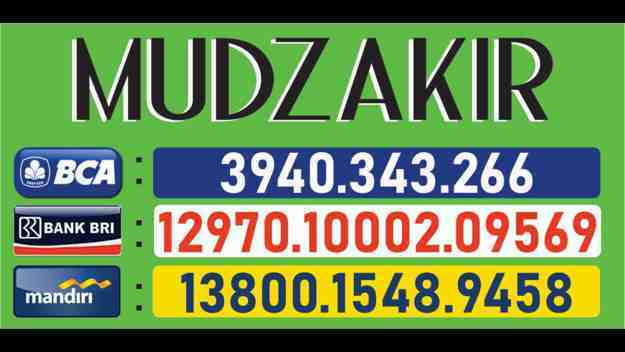 However, the comfort you will get is proportional to the price offered. Cotton material itself there are two types of combed cotton and carded cotton. This name takes the name of the fabric making machine Combing and Carding. Both types of these fabrics both use materials from cotton. It’s just that when the process of making, combed cotton fabric is more perfect because through the process of sweeping. This process is useful for removing short cotton fibers and leaving only long cotton fibers. With this process, the resulting fabric is smoother and more tidy. This is what makes this type of fabric the favorite type of fabric. While for the type of cotton carded fabrics do not go through the process of sweeping but only the process of raking or carding. Thus, the resulting fabric can not be as smooth as combed cotton cloth. From this process will leave the remains of the yarn and felt when worn. Although both named cotton cloth but the quality of combed cotton cloth is definitely better than the type of carded cotton fabric. Batik design becomes one of the important parts in the process of making batik. Design is what determines whether the batik will be sought or not. This design must be done by an expert in making batik design. Someone who already understand very well about the design and batik motif that will be booming in the market. In ancient times, the design of batik as if determined by a tradition. In other words, a batik designer can not be arbitrary in creating designs or batik motifs. Rather, it must follow a number of rules or standards set by the ancestors. Some designs or batik motif quite a lot. Like Ceplok motif. This motif has a design that is identical with geometric shapes. Generally ceplok motif consists of roses and other classic designs. In addition there is also a batik design with kawung motif. This motif is very famous in his day, because no indiscriminate people can wear batik clothing with this motif. This motif is only worn by the royal circles only. If you do not know about the motive kawung, this motif is like cross-sectional palm coconut. Then there is also a broken parang motif. Batik with this type of motif is very popular. This motif illustrates the struggle between man and human desires. There is also a motive barong machete. This motif is almost the same as the broken machete motif, but the motive barong machete has a longer indentation and sprawl. The nature of batik with this motif is batik motif that is considered sacred is only worn by the king alone. In addition to the king should not wear this type of motif batik clothes. There is a philosophy about this motive, that the king is careful to guard himself. Thus, he can be an honest, just and able king to prosper his people. In addition, there is also a motif that is considered as the oldest motif of batik nitik motif. It is said that this motif is adapted from the woven fabric motif brought by traders from the Indian Gujarat who came to Indonesia.